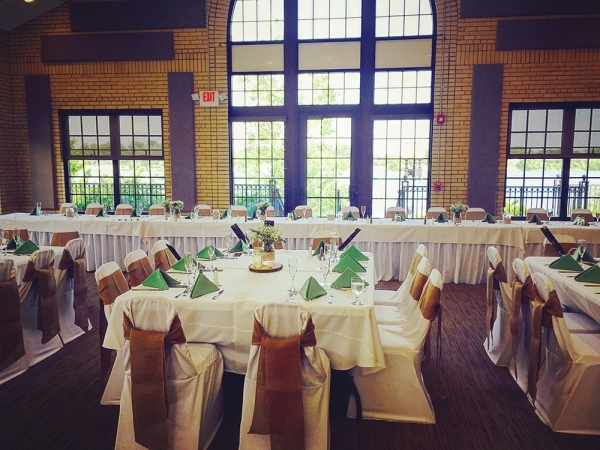 When it comes to planning the event of your dreams, venues and catering options are both essential for success. The better your choice of dining and location, the easier it is to make sure all guests have a great time, allowing you to make a great first impression. 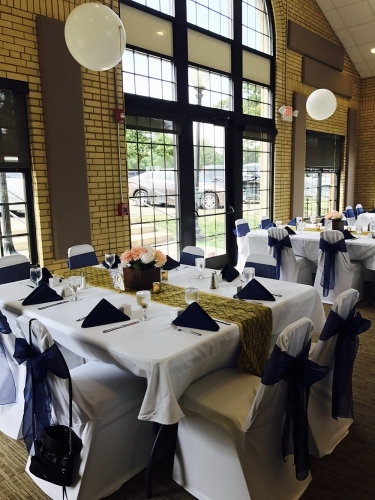 When you choose Chateau on the River in Elizabeth Park as your location and Kosch Catering to deliver amazing food, you know you’ve done it right! Call Kosch today for a great price on great food and help organizing all the little details. I was very pleased with my entire experience with Chateau on the River. 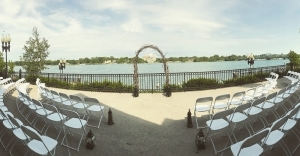 Absolutely beautiful venue overlooking the water. Beautiful inside and out. 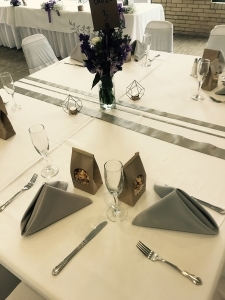 This venue uses Kosch Catering which was wonderful as well. Our main entree was the Chicken Marsala which tasted even better at the wedding than at the tasting. The price was very reasonable also. Much better than the other venues I looked at. Our event coordinator Lana Kosnik was amazing. She was extremely helpful and responded to all of my emails within minutes over the course of a year. The onsite manager Amber was great too! She called me a few days before to verify some details, and let us in the building from 2-6 the day prior to the wedding to set up. We were also able to get in 4 hours before the wedding to finish, and back in the morning to clean up. While I was in the bathroom freaking out about the rain, my bridesmaids told me they had staff outside with towels drying off everything so I could still have my ceremony outside. I have nothing but good things to say about this venue & catering company. I would recommend them to any bride!! Chateau on the River at Elizabeth Park. Wedding Wire Review from Melissa. 09/23/16. I do not even have enough words to describe how absolutely happy I am with the Chateau! From the time that my husband and I booked our venue up until the day of our wedding, the staff was amazing! I cannot thank Lana, Jerry, and Amber as well as the wait staff that took care of us the day of the wedding. I would recommend The Chateau to anyone who is looking to have a completely flawless ceremony and reception at Elizabeth Park. They are very responsive to emails/ phone calls and they help guide you along the way of your planning process! Everything, including the food and bar, was beyond expectations and I cannot thank the staff of Kosch Catering enough for helping make our dream wedding possible! Thank you, thank you, THANK YOU! Kosch was a fabulous company to work with. Lana (the coordinator I worked with) was always very prompt at returning phone calls and emails. I always felt assured that she had everything under control. The staff on-site at the chateau were truly a JOY to work with. Jerry and Amber really stood out to me in making sure my day was just as I had hoped. I can't say enough good things. 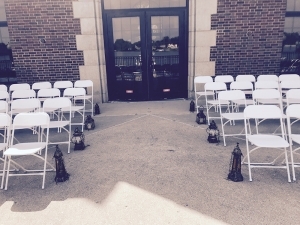 Plus, the venue is a gorgeous backdrop for any style of wedding. 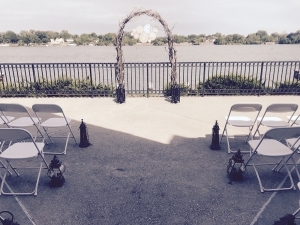 I was married on-site and the river was so beautiful to have in pictures. Chateau on the River at Elizabeth Park. 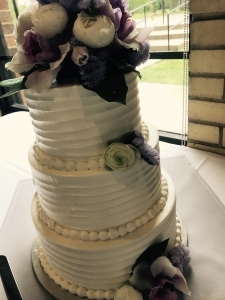 Wedding Wire Review from Danielle. 08-13-16. This venue was absolutely gorgeous and perfect for my 120 person wedding! They were so helpful and accommodating and I am still getting rave reviews on the food. This venue has such a comfortable and homey feel that I could not have chosen a better place. They have plans and backup plans for rain, power outages, you name it so when it stormed on my wedding day I knew I didn't have to worry about a single thing. I would recommend them to anyone!! The Kosch team understands that we eat with our eyes first, and presentation is every bit as important as the food itself. So we offer a variety of unique serving options to complement our extensive catering menu. 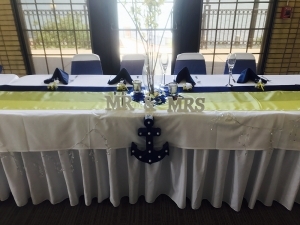 Depending on your preferences, the theme and the length of the event, you may prefer to eat from a buffet, eat family style, or have waiters serve strolling hors d'oeuvres. Of course, it's your big day- you can also mix and match these options for a food service unique to your event. 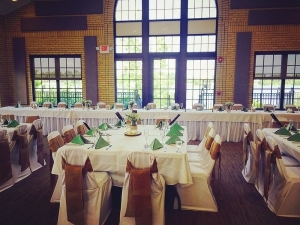 Indoors or Out, Casual or Black Tie, with Incredible Food from Kosch, You’ll Have an Event to Remember! 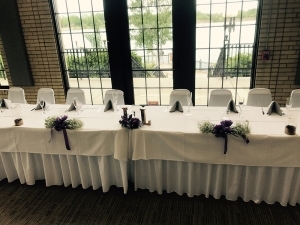 When the Kosch team caters events at Chateau on the River on Elizabeth Lake, your satisfaction is all we care about. Whether your event is indoors or outdoors, we can provide the foods, shelter, and equipment you need to make it a success. 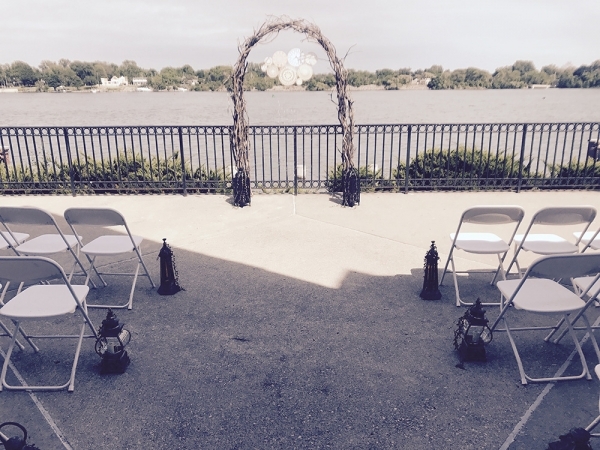 Our only wish is to give you the best wedding possible, whatever that means for you. 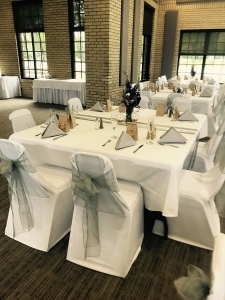 To plan your wedding at Chateau on the River or other locations across Southeast Michigan, contact Kosch Catering today to speak with a specialist!